Favorite Quotes: "When we seek to discover the best in others, we somehow bring out the best in ourselves." Other interests include Scrabble®, Line dancing, Games and Puzzles...and being a beach bum! Received a standing ovation by 1,200 at Caesars Palace after a professional speaking engagement. Only female stockcar driver at the South Florida speedway many years ago. Other interests include Scrabble® and traveling throughout America. Took off December 26, 2006 in van with mattress, hiking boots and laptop to see America. "What an awesome country we live in! Favorite quote: “Remember, wherever you go...there you are!" 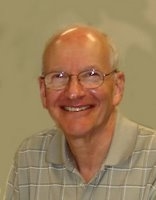 Interests include Scrabble®, Biking, Gym, Canasta, Mah Jongg, Philadelphia Eagles Season Ticket Holder for 40 years! Favorite quote: “Be careful what you wish for-you might get it." 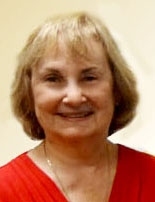 Interests include Scrabble®, creating other word puzzles and games (mostly for the National Puzzlers' League), cartooning, collecting comic books, comedy recordings, rubber stamps, animation art, and puzzle memorabilia. "The past isn't dead, it's not even past." Favorite Quote: "If you have nothing good to say, don't say anything!" Awards: Original Southeast Regional Tournament held in Miami in the late 1970's. Most recently I won several club tournaments, including one recently held at Tim Wise's club. Favorite quote: "Fill the unforgiving minute with 60 seconds' worth of distance run." Interests include Scrabble®, film theory and criticism, record collecting, media, politics, blogs, stand-up comedy, literature (Tom Wolfe!!! ), tennis, racketball. Interests include Scrabble®, billards (8 and 9 ball), dancing and talking :-) ! Favorite quote: "You reap what you sow." George joined our Lauderhill Scrabble Club in 1991 and we were all fortunate to have his friendship for many years. George was always such a good, thoughtful and kind person. When I was in George’s company, I just had to smile! I always knew that whenever we played a Scrabble game against each other, win or lose, we would have a fun and competitive game together with lots of laughs. It is so hard to write this because in my mind you will always be a part of our Scrabble club. When I go there on Wednesday nights, I still feel your presence and expect you to come walking in at any second. You have always been one of my favorite players there since you became a club member in 1992. Your warmth, wonderful wit, intelligence and thoughtfulness were always admired and appreciated. Your thoughtfulness also extended to writing a "thank you" note to me after our yearly Awards nights to tell me how much you enjoyed it and recognized all the work that went into it! That was just one of your many thoughtful actions. I'm sure that your record of having the highest game at our club since its existence will continue to be upheld forever! So thankful that the last game you played at our club was with me...even though you won!!! Rest in peace, my friend. Awards won: Three-time Florida State Champ. Since 1995, we all cherished and enjoyed the many years that Ossie attended our Lauderhill, FL Scrabble Club 276. With a twinkle in his eye, he was always such a wonderful, kind and gentle soul. You could count on a competitive and good game with Ossie. So many years of special memories with him. His beautifully crafted Lucite Scrabble boards are used by Scrabble players all over the world! For many years, Ossie captured our Awards Nights with his excellent photos of the festivities! Ossie is missed very much by so many of our club members. 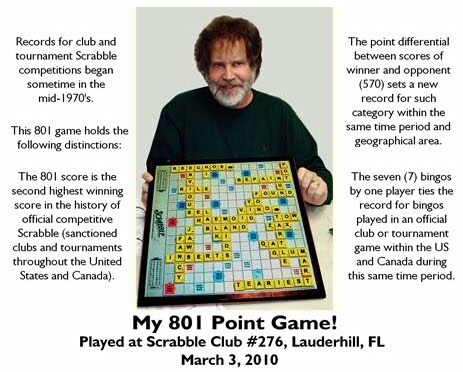 We were all so fortunate to have Steve Polatnick as a member of our Lauderhill Scrabble Club #276 since 1994. Steve was one of the "giants" in the Scrabble world. An expert Scrabble player, Steve was also quiet-spoken, brilliant, witty and always the perfect gentleman with numerous accomplishments of which many of us were unaware because he was too humble to tout them! Steve will be greatly missed by all. Although we haven't seen Sal at Scrabble Club 276 for many years, he was a regularly attending member of our club for 13 years from 1991 through 2004. Sal was an expert Scrabble player with whom everyone at club enjoyed interacting. Sal was quiet spoken, a kind and thoughtful soul along with a wonderful sense of humor. We were very fortunate to have known Sal and wish it could have been much longer. It was a joy to be in Angel's company! 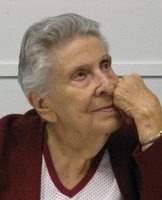 She always was so enthusiastic about everything in life with her so different many interests and activities! She loved all the holidays and observed them with her extensive decorations-- right down to her nail art! Angel never missed a year bringing in her St. Patrick's Day hand-crafted potato heads which were given out as Scrabble prizes. Thank you for being a part of our Scrabble Club and our lives, Angel. We will miss you. Ruthie brightened up our lives with her smile, her outspokenness, her humor and all of her creativity. I'm sure that everyone whose life she touched has at least one of her creative efforts whether it is a rack with their name in Scrabble tiles, a painted shirt, a magnet, etc., etc! You will be forever in our hearts, Ruthie. Ralph played tournament Scrabble since 1994. 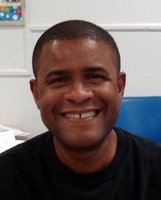 Recently Ralph moved to the Boca area from Gainsville and attended our club for the first three months during 2013. We always enjoyed seeing him and wish that it could have continued for many more years. We will always look back fondly on our memories with Ralph. Favorite Quote: "Plays well with others!" Ours of you, Randy will last forever. Although Anita was only able to attend our club for a few years due to her long struggle with cancer, whenever she was physically able to attend, Anita was a wonderful addition to our Scrabble club. Throughout the years of her battle with this horrible disease, Anita always showed an optimistic, cheerful and positive attitude in the company of her friends. Anita was a very special woman whose light will shine on in the hearts of all who knew her. In our words....Your smile, wit, warmth and diverse talents will be missed by so many of us. As original Director of Scrabble Club 276, you ran the club for three years with a strong hand and a warm, loving, teddy-bear heart. You were a tough act to follow but I hope that I made you proud. "You will be missed so much, Ann. We love you." 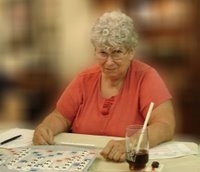 Charlotte was a member of Scrabble Club 276 since 1989. So many years of fun memories. Charlotte always made time to care about her Scrabble "family" and even their extended families. She will be missed by many of us. Although you will always be in our hearts, your kindness, humor and wit will be missed by all of your many friends. See our Disclaimer. Questions or Comments? Write to the Webmaster.